Porsche Macan Interior, Sat Nav, Dashboard | What Car? Standard eight-way electric seat adjustment allows you to tailor the driving position easily; the seat will drop quite low to give you that sports car feel, or you can jack it up if you want a more commanding view. It’s not all good news, though. You have to shell out four figures for a Comfort Package option if you want adjustable lumbar support, which most likely you will; without it, the seat lacks lower back support. At least you also get a memory function for the seat thrown in. There’s also a sizeable bulge in the transmission tunnel that skews your left leg farther over to the right than is ideal. 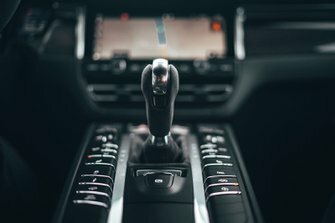 Unlike many manufacturers, Porsche has kept physical air-con controls rather than burying everything in a touchscreen. Indeed, the Macan feels like a bit of a blast from the past with its array of buttons surrounding the gear selector. A crisp, colour readout that sits in one of the circular dials in the driver’s binnacle, and which can show everything from audio and trip information to the navigation map, means you don’t have to rely too heavily on the dash-mounted screen. 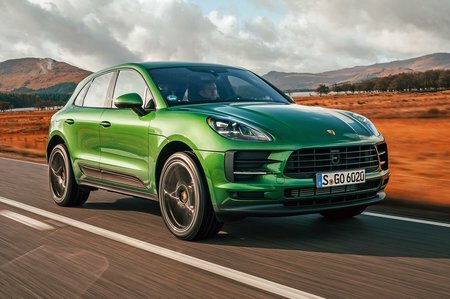 The Macan offers reasonable forward visibility by class standards; the windscreen pillars are no wider than most and, despite being comparatively raked back, they rarely obscure your view out at junctions and roundabouts. Fairly large door mirrors also make for a good view for lane changes on the motorway, although they can occasionally get in the way of your forward view. Front and rear parking sensors are standard on all models; this is a great help, because that high rear window doesn’t help with judging tight parking spots and it can be tricky to judge where the sloping bonnet ends. A reversing camera is an affordable option and a surround-view camera is also available. Sat-nav, a DAB radio, Bluetooth, a USB connection, a 10.9in colour touchscreen and an 11-speaker sound system are standard across the Macan range. Various online services, as well as Apple CarPlay smartphone mirroring (so you can use your iPhone via the screen), are also included, but Android Auto is not. The large screen is certainly more user-friendly than the tiddly 7.0in screen of the pre-facelift car, although some icons are still a little too small to accurately hit on the move. Still, the menus are pretty easy to navigate, the graphics are sharp and it’s responsive to inputs. Some might find the far corner of the big screen a bit of a stretch, though, and we still find rotary dial-controlled systems such as BMW’s iDrive easier and safer to use on the move. 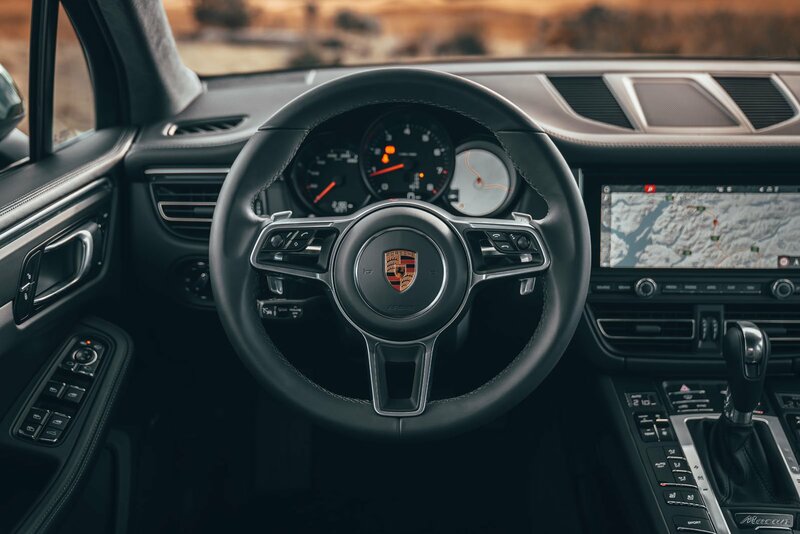 Porsche makes some of the finest interiors around, and it hasn’t cut corners with the Macan, which features high-quality, well-assembled materials. You don’t need to spend a fortune on optional leather upgrades (although there’s plenty of opportunity to do so) to make the interior feel worthy of the prestige badge; standard leatherette and Alcantara upholstery should satisfy enough. Only a couple of small areas feel slightly underwhelming; this is why the impeccably made Q5 beats it to a top five-star rating.